Improved internet access, increased bandwidths and new Web 2.0 technologies have laid the foundation for “Smart Companies” to conduct more and more of their innovation research online. Do online methods for generating innovative ideas really work? What tactics can a company employ to ensure that employees become fully engaged in an online innovation process? Improved internet access, increased bandwidths and new Web 2.0 technologies have laid the foundation for “Smart Companies” to conduct more and more of their innovation research online. Leading companies are using these new technologies to involve a much broader base of employees in their innovation activities, rather than limiting such activity to a small, marketing function. This approach can maximise the creative talents of a much larger team and bring to life one of the winning philosophies captured in Karl Albrecht’s book, “The Power of Minds at Work”. There are also significant cost and environmental advantages of using online or “on-phone” methods compared with more traditional approaches: flying people into one location has become increasingly expensive, time-consuming and environmentally unsound. However, do online methods really work in practice and what tactics can a company employ to ensure that employees become fully engaged in an online innovation process? 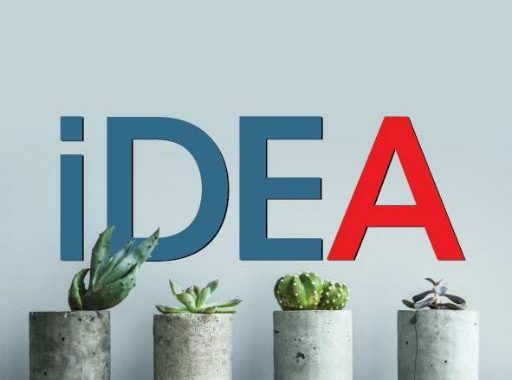 Ideas First® has been using online tools to support early innovation work for the past eight years. This includes the use of survey tools, to get broader consumer and internal feedback to early insights and ideas, combined with the launch of a new brainstorming tool called the virtualHOTHOUSE®. Our results with large companies clearly demonstrate that new tools can enhance the outcomes and effectiveness of innovation projects, helping to reduce time delays, reduce travel cost and, most importantly, enhancing the final quality of ideas and insights. There is one important caveat however, and that is that the new tools themselves do not guarantee success, they are simply enablers. To achieve good results, a large company will still need to follow the fundamental rules for innovation success. As with traditional insight or idea generation, it is important that an innovation team takes time to define the creative focus for online activity. Once defined, creativity and innovation can then flow in the right direction. Based on experience from the last 30 online events, the most successful projects are the ones with the support and commitment from senior levels of management. These leaders normally lead the initial event communication, outlining the objectives and highlighting the importance of the project. Give people the right amount of time at different stages of the process, and encourage delegates to block quality time, especially for idea and insight sharing activities. Even though an event is run online, encourage delegates to engage with consumers during the process to help in the generation of new insights or to refine leading ideas. For example, leading insights; stimulus from R&D teams, old ideas from previous projects and different out of the box games etc. It is very important that this information is tailored to each of the agreed Innovation Pillars. The virtualHOTHOUSE® tool allows groups of individuals to work in smaller teams. To achieve success, it is important that strong leaders are appointed to each team to set an example to others and to encourage other delegates to take part throughout the process. A big benefit of new, online tools is that they can allow individuals to take part in innovation tasks at a time that is more convenient to them, or when they are at their most creative. However, while individual working is productive, it can also be beneficial to encourage individuals to work locally in “mini-teams”. If the project is important, set up good incentives to encourage individual contributions. The virtualHOTHOUSE® tool is able to track the contributions of all delegates from the start to the end of the process, making it easy to identify the individual or mini-teams responsible for the winning insights or ideas. To broaden thinking, it may be appropriate to involve external agents or creative consumers to introduce alternative ideas and insights. In addition, using external copywriters can help to refine leading insights and ideas in a clear and objective way, ahead of final online evaluation. Even without cash incentives, many people simply like to have their efforts acknowledged. Ensure that the winners’ names are published in bright lightsDo online methods for generating innovative ideas really work? What tactics can a company employ to ensure that employees become fully engaged in an online innovation process?